Living a life of bitter seclusion, Griffin Tago is a mentally and physically broken puma-shifter who finds himself suddenly alone and without a family. Daniela “Dani” Celinho had a happy childhood in her family of shifters, until a deliberate act against her as a teenager leaves her with a limp, and unable to continue competing as a swimmer. Later on, after her father is murdered, her mother and sister both fall apart. 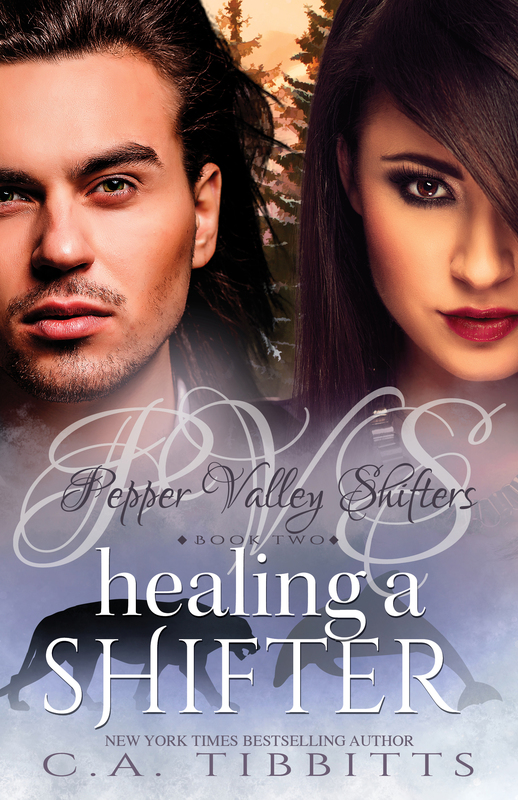 Dani decides to make a life for herself, in a little town called Pepper Valley, Colorado. One day, Griffin’s best friend talks him into having a beer at his sworn enemy’s place, Great Scott’s Bar & Grill. After a short run-in with “Great Scott” himself, Griffin’s friend distracts him by pointing out a brunette beauty standing at the jukebox. One look at her takes Griffin’s breath away. Dani looks past the wheelchair and sees the strong handsome man with long dark hair and black tattoos. Their physical desire leads to a quick mating. 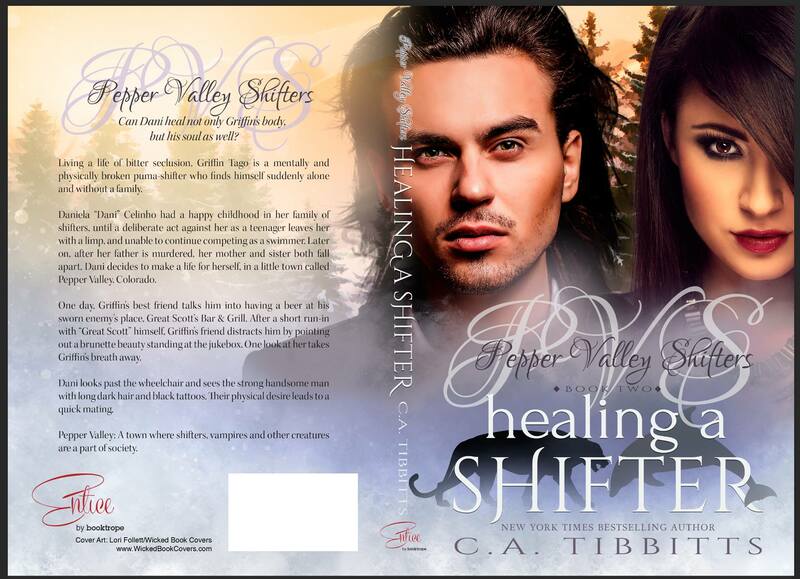 Can Dani heal not only Griffin’s body, but his soul as well? She watched him strongarm himself of out the wheelchair and onto the couch. 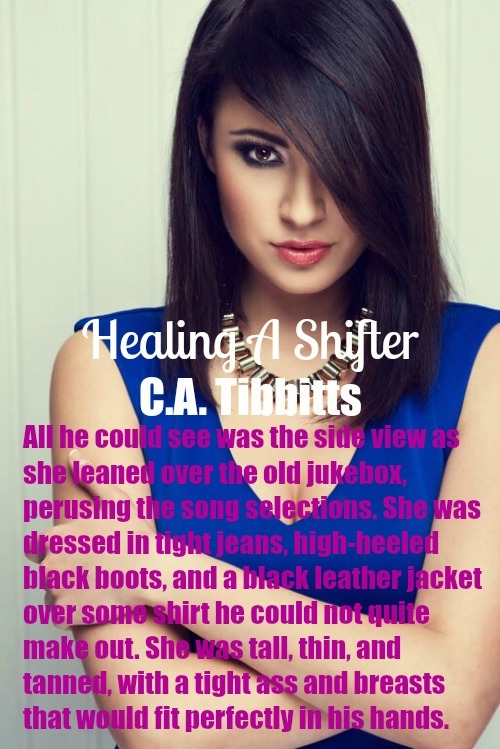 She quickly sat down beside him, placing the beer bottle aside, and shifted her body toward his. She breathed in the scent of him. His smell was so unique: the earthy scent of the woods, and all man. One of those manly men who could fix an engine motor, and then tell a woman exactly what he wanted done to him in bed. “What are you doing here, Dani? With me?” His eyes seemed to stare through her, as though he could hear her thoughts. “I think you’re hot, Griffin.” Is he blushing? She felt a grin tug at the sides of her mouth. “Neither of those. Let’s explore that first suggestion of me forgetting my name.” She met those incredible hazel eyes of his. One large hand grabbed the back of her head and yanked her forward, then his lips were on hers. Her mouth opened and his tongue met hers. He didn’t bother with a polite probing, he conquered her mouth, angling his head sideways to go deeper. Her body recognized the taste of him before her mind did. At 48 years old, she had found her mate. Fun facts about me: 1. I love birds! I have one (a parakeet). 2. I’m double-jointed, which led to teasing as a kid (which I also found funny)! 3. I have a shoe addiction! Mainly embellished flip-flops, but other kinds too (not heels, I’d break my ankles). 4. I missed a college 4.0 GPA in the very last semester when one professor gave me a B (still upset about that!)! 5. I am very OCD about certain things (see #6). 6. I have an extensive DVD/Blu-ray collection and it has to be kept in alphabetical order! 7. My favorite vacations involve a cruise. I’ve been on 15 so far! 8. I’m quiet and sort of shy until I get to know a person. 9. I’m quick witted and believe sarcasm is my best friend. 10. I hate hot weather.